"Man does not need to study the history of Goya's obssessions, nor the passions of Picasso to 'know' art. It is when a man is captured in front of a painting, and held spellbound and speechless by its beauty that he 'knows' art. This is the moment of truth, and can be known by all men." As many collectors of fine art have come to learn, owning works of art is temporary by definition. When properly cared for, great paintings, drawings and sculpture will survive many human lifetimes and those of us fortunate enough to have acquired these treasures know all to well the tenuous nature of our ownership. Those who make provision for the care and preservation of these works are the men and women with foresight, and without them, we would have no museums, and no beautiful artwork to show our children and grandchildren. 1. Ideally, the structure and grounds would be fully paid for initially, so there would be no outstanding mortgage on the property. This is our goal. 2. The museum must be self-sustaining through a steady income stream for property maintenance, not derived from book sales, tours or exhibits. This is necessary to ensure that the upkeep of the property is never in jeopardy. The ancillary income (book sales, sundries sales, endowments and income from exhibits and other undertakings) can then be directed to maintaining the collection, acquiring new art and producing other exhibits. 3. Our review brought us to the conclusion that the income stream required to maintain the property is best achieved through the purchase of a property with an operating and successful vineyard, or a small hotel, or hostel. With no talent onboard with any knowledge of winemaking, as yet, and taking into account the labor-intensive operation of a vineyard and/or a first-class hotel - not to mention the huge risks and large sums of capital necessary for these two possibilities, we have opted to put our efforts into creating an art hostel/museum. The overhead is substantially lower for a hostel environment, and it works well with our plans to provide seminars and workshops for artists of all ages. Two members of the Friends of Otolo have extensive hotel/restaurant experience, which will be an asset when reviewing potential properties for the art hostel/museum. 4. It is preferred that the hostel and the museum be housed in separate structures, unless a unique property is located that would provide for dual-use configuration within one structure. The security of the artwork is most important, and must be weighed heavily, when reviewing dual-use structures. We are also open to the possibility that another property configuration with greater advantages may come to light, and we have developed plans for alternatives, should new options become available to us. 5. It is imperative to be able to maintain consistent, year-round attendance and activity, although seasonal regional activities will come into play to some extent. 6. After reviewing properties in Germany, Holland, and France, it has been determined that France has the largest assortment of properties comprised of multiple structures, within areas offering temperate climates, of any of the other areas reviewed. The French Chateaux, Maisons de Maitre, and even many Belles Demeures offer more options than any other property configurations we examined, for an art hostel/museum. They provide a main house and several outbuildings suitable for conversion to other use, such as a hostel, or small gites. A large number of the properties we researched have made many of the necessary adaptations required for an entity such as the one we propose, and include many renovations of major expense, which would negate the need for the museum to perform these repairs and updates. 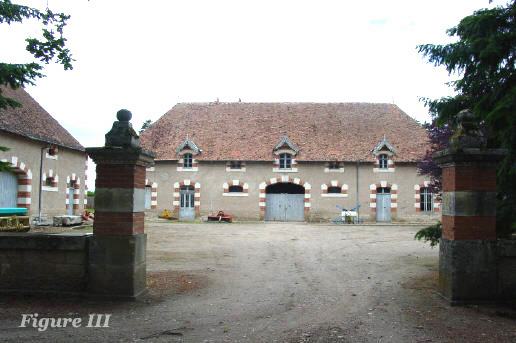 We have provided several examples of suitable properties, which you can find by accessing the French Properties page. Please do keep in mind, when veiwing the properties listed the images and links we have provided on this page are for reference purposes only, to show the possibilities we are considering, and are not meant to infer that we have entered into contractural arrangements for any of these properties. 7. We will review most favorably any properties that have the potential for conversion to solar and/or wind power, to reduce our carbon footprint, and decrease our day-to-day operating costs. 8. Taking into account the criteria we have established to date, we feel it would be best to locate this art hostel/museum near or within a tourist destination and well-traveled corridor either in the south of France, along the middle route to the south of France from Paris to the Med, or along the Atlantic seaboard. All three areas have depth of inventory for the type of property that would best suit the needs of this project. 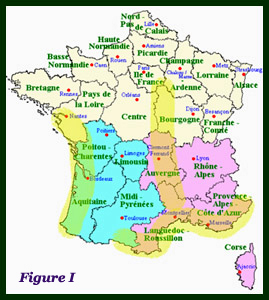 Please refer to the map of France in Figure I, below, with highlighted areas, to view the areas we have included in our plans. To assist us in the search when we are funded, we have already been approached by - and developed a relationship with - a noted real estate advisor who possesses extensive experience in the acquisition of the types of French properties that would suit our needs. 9. The art hostel/museum must be located within a one-hour commute from an international airport, either by rail or auto route, for easy access by tourists and visitors. It is also desired that the property be close to a major motorway, for those visiting by automobile. 10. Last, and perhaps most important: we must be flexible in our approach and able to adapt our plan and strategy to do what best serves the art and the artists vision, as circumstances change and new opportunities surface. If some generous soul takes it into his/her heart to offer us a suitable property in Paris or Venezia, then we shall adapt our plans accordingly. Until that event is upon us, we shall proceed with our current plan. When reviewing the sample properties we have provided, keep in mind that the option we will ultimately choose will depend largely on the amount of money we raise for this project. This is the part which will be determined by our donors. Dollars are built by pennies and every contribution to this endeavor is considered by the Friends of Otolo to be significant. In many cases, it has been the large donors to museums who have made the difference, and although we welcome all donations, large and small, we realize it is more likely that our museum will be funded by the everyday men and women among us. It is as it should be, for this is their museum, after all. There are, of course, many more details which will be forthcoming during the next few months. Until we have established the tax-beneficial means for receiving your contributions from countries outside of Germany, we are currently unable to provide this benefit to anyone other than a German resident. We hope to have everything in place for tax-beneficial status for Ireland, the United Kingdom, Belgium, France, the Netherlands and Poland as quickly as we can. We are petitioning for this ability, at this time. The rest of Europe is not yet involved significantly in the recognition of the benefits of cross-border philanthropy, and we hope this will change soon. We are also reviewing the process by which residents of the United States might receive a tax benefit for their donation, and because of the requirements of the I.R.S. this may take considerably longer. We hope this will not preclude you from following your heart, should you be of the mind to contribute to this effort without receiving a tax benefit for your generosity. In the meantime, if you have any questions regarding the process by which a contribution may be made to this project, please follow the Contributions link to your right. With any museum collection, there is always an underlying theme and with Otolo's agreement, we are developing the concept of l'Homme Naturel, the natural growth of the male from boyhood to manhood. Otolo's work spans the full spectrum in the life of a man, and it seems a most appropriate direction for us to take. We have every confidence that when the exhibition is introduced in its entirety, you, the viewer, will concur. We have invited additional artists of merit to provide paintings and sculptures for the museum, and we are pleased that other artists, including Wim van der Kant, of Holland, have accepted our invitation. We are very excited about their participation. You may view samples of his work, by following the links to your right. We anticipate adding more artists of the figurative style, as we proceed.